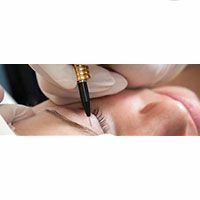 Electrolysis Hair Removal Vancouver | Vancouver Electrolysis Centre Ltd.
Electrolysis is the process of inserting a small, fine needle into a hair follicle to deliver a small electrical charge that damages and eventually destroys the hair follicle. In 1875, electrolysis was successfully used by Dr. Michel to remove ingrown eyelashes. Since then, electrolysis treatments have improved drastically and are being used to remove unwanted hair on both men and women. Thermolysis:This method uses a high-frequency alternating current that is passed down through the needle to the hair follicle. The high-frequency causes a vibration in the cells of the hair follicle, producing enough heat to cauterize the hair bulb. Galvanic:This method uses direct-current electrolysis, which means that a direct electric current is passed down through the needle into the hair follicle, where it creates a chemical reaction. This reaction converts tissue saline into sodium hydroxide, a caustic agent that then destroys the hair bulb. Blend:This method combines both the galvanic and thermolysis methods. These sessions usually take a little longer to complete. Human beings have about one million, four hundred thousand hairs distributed all over their heads and bodies. As soon as a person tries to remove these hairs by using temporary methods (tweezing, shaving, waxing, depilatories, threading, etc. ), these hairs will begin to grow faster, coarser, denser, and even become ingrown, while spreading to a larger area in a very short period of time. 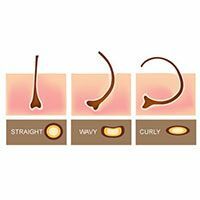 Hairs tend to grow at a faster rate in warmer weather, as well. 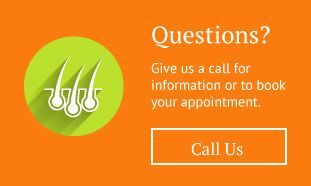 With over 30 years of experience, we prefer thermolysis as our primary treatment for hair removal. We notice that the short-wave, high-frequency current is more stable and comfortable, and that treatments are much more effective, compared to the same amount of time used on other treatments. Thermolysis can be done in short intervals and is a lot less invasive to the skin. We use only disposable filaments, and if needed, a local anesthetic is provided at no extra cost. Please note: laser and light devices are not approved by the United States FDA as methods of permanent hair removal, it is only hair reduction. Laser hair removal is easy, quick and affordable but not forever permanent. The information provided herein should not be used during any medical emergency, for diagnosis, or for the substituting of any treatment. A licensed physician should be consulted for diagnosis and treatment of any and all medical conditions.